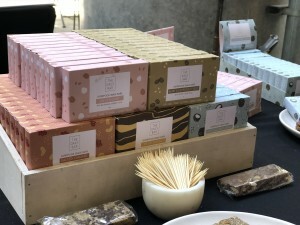 Tastes of charred eggplant with lamb fillet, and grilled Roman beans with cured yolk and macadamia, were experienced by attendees at the Taste of Sydney Collective food festival on November 9. The four-day festival, held at The Cutaway, Barangaroo, features 32 restaurants with different chefs creating dishes for visitors each day. Inspired by culture, geography and style, it challenges the chefs’ creativity, where they will be serving up unique dishes only available at the event. On Saturday, people will have the chance to taste meals from chefs including Cory Campbell from Bea, who is cooking ocean trout and munthari glazed kangaroo skewers, and Skye Gyngell from Spring, who is making slow cooked lamb shoulder with fermented tomato and crème fraiche. Chefs showcasing their food on Sunday include David Wright from Buon Ricordo, who is cooking a grilled saffron risotto as well as veal and pork sausages with parmesan and truffle egg, and Andy Bowdy from Saga, who is making a vanilla slice sundae with coconut ice-cream, vanilla and rum custard, passionfruit and a caramelised puff. 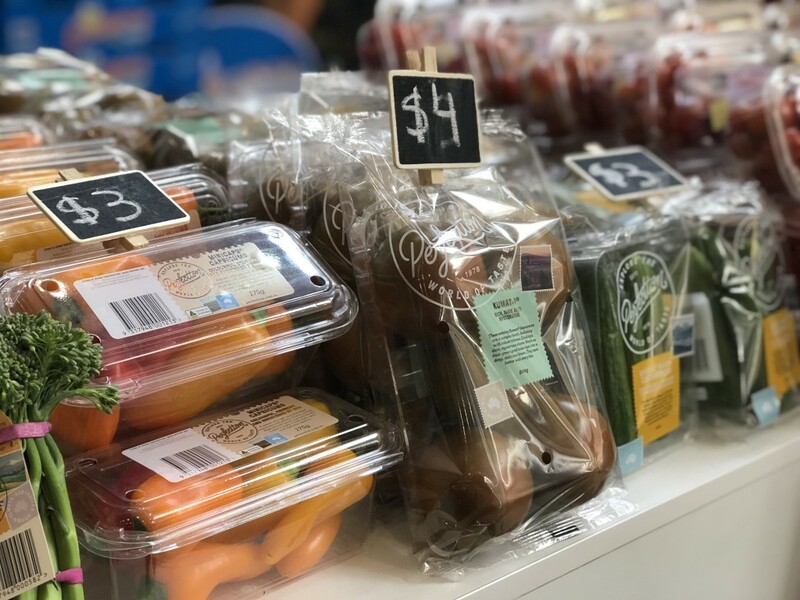 Taste of Sydney started on November 8, but food-lovers still have a chance to attend the event, which finishes on November 11. Other festivities include Tanqueray Cocktails at Home, which allows attendees to create a cocktail using Tanqueray gin. The drinks are also flowing at the Johnnie Walker Highball Experience, where participants can create their own bespoke highball. For Diners Club VIP ticket holders there are exclusive opportunities to attend a book signing by chef Mark Best on Saturday afternoon, there will be a caviar tasting with Simon Johnson on Friday evening, and a sausage masterclass with Chrissy Flanagan on Sunday from 2.30pm. 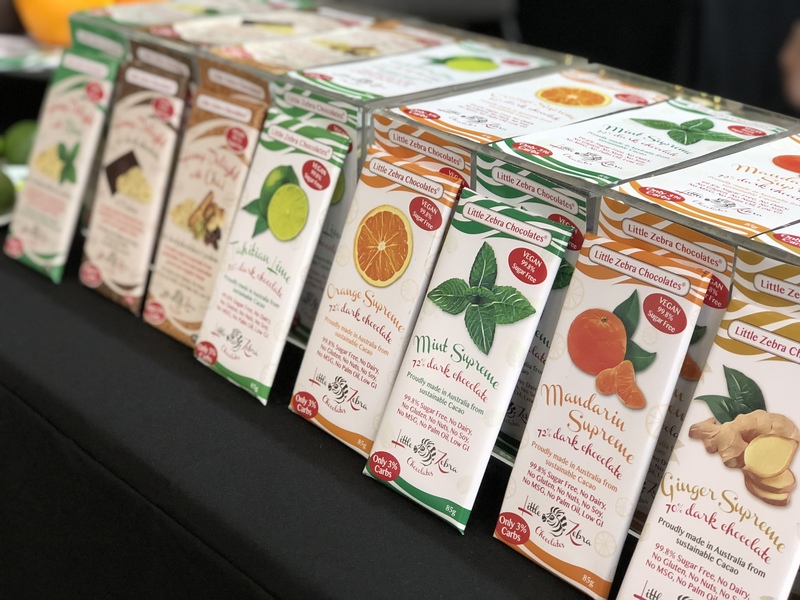 Exhibitors showcasing their range of fine foods and drinks include Little Zebra Chocolates and Carob, Pic’s Peanut Butter, Snapper Rock Wines, Liberty Kombucha and Oakridge Wines. 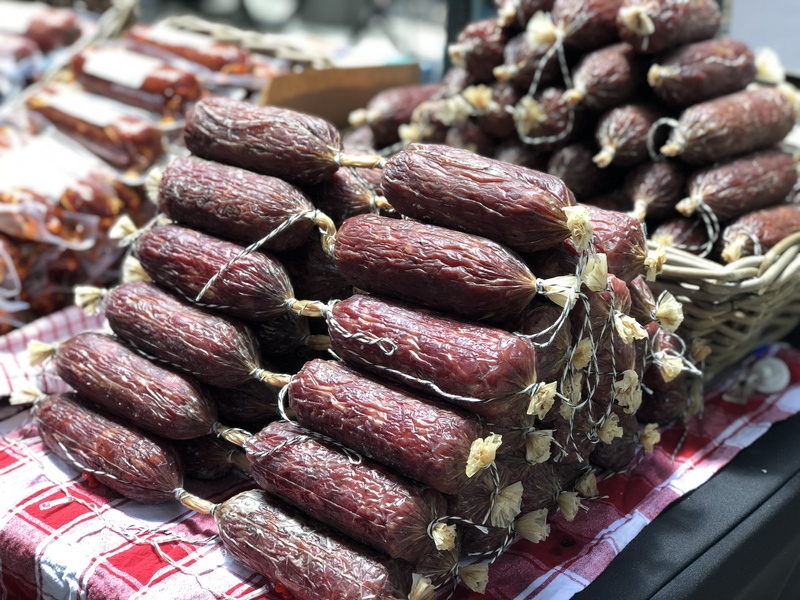 Dylan Hayes from Goose on the Loose, which makes a range of salamis and other smallgoods, said he always took the chance to be part of the premium events organised by the Taste group. 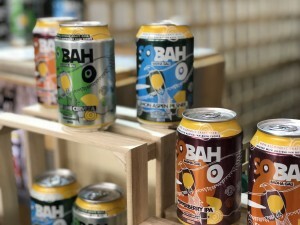 By broadening its reach, the company is able to sell to restaurants and cafes as well – including Sydney’s Butcher and the Farmer located at the Tramsheds, said Hayes. “All of our meat is ethically sourced. We have 99 per cent Australian ingredients,” he said. The only ingredient that doesn’t come from Australia is black truffle, said Hayes. Little Zebra Chocolates operations manager Bernie Walker took the event as an opportunity to showcase his company’s chocolates and carob treats, which have no added sugar and are vegan. 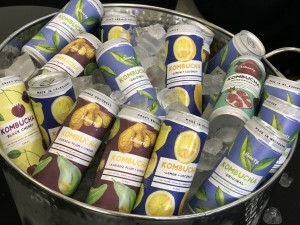 Walker and his co-founder were both pre-diabetic, which gave them the idea to create low-sugar and sugar-free products that still tasted delicious, he said. It took a good year of trialling different recipes to perfect the range, said Walker. More than 30 exhibitors showcased their products, from beeswax food wraps, to wooden boards, wines, leather aprons, candles and beer.